Expanding our business from wood stairs and rails to create custom quality cabinets and remodeling for new homes as well as homeowners. For over two years, Romaniello's Custom Construction, LLC has offered remodeling services covering all aspects of the home, from bathrooms kitchens, basements and libraries to closets, bars millwork, decks, mantles, floors and more. All work is custom quality that you will not find anywhere else. We offer a wide range of services to cover all your home improvement needs, from design to installation. 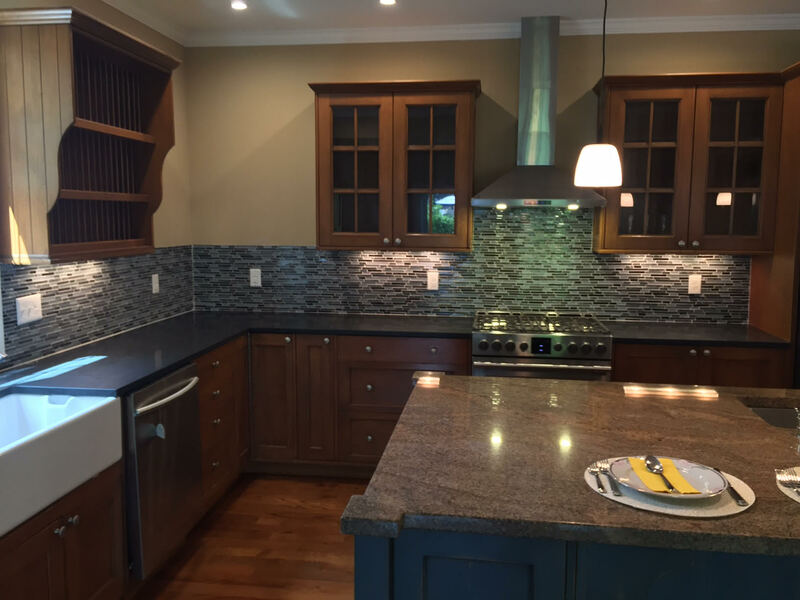 Whether you would like to install pre-fabricated cabinets or custom designed cabinetry, we have the skills and experience to ensure the highest standards of workmanship excellence.